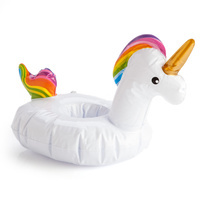 Inflatable Drink Holder Unicorn | What rainbow dreams are made of! What rainbow dreams are made of! 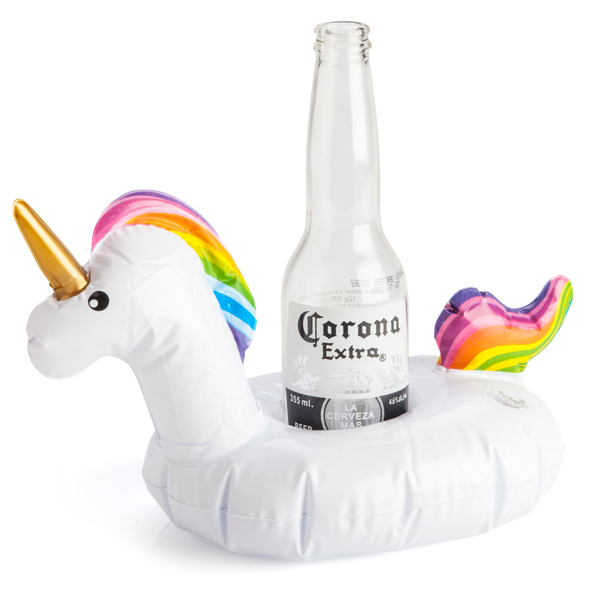 Forget stubby holders, this majestic cup holder not only holds your favourite beverage, it inflates and keeps it afloat! Perfect by the pool, beach or in the backyard, your Unicorn Drink Holder works with almost any size beverage such as cup, bottle or can. 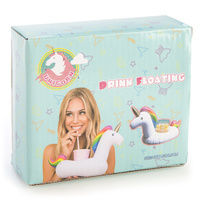 Make any lazy drink enchanting with your pocket-sized majestic companion, floating your drinks in style!